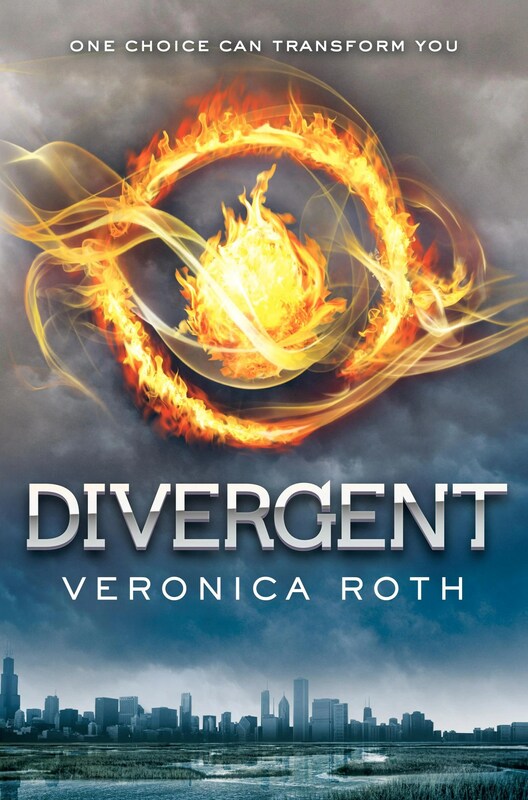 Divergent – In Beatrice Prior’s dystopian Chicago world, society is divided into five factions, each dedicated to the cultivation of a particular virtue–Candor (the honest), Abnegation (the selfless), Dauntless (the brave), Amity (the peaceful), and Erudite (the intelligent). On an appointed day of every year, all sixteen-year-olds must select the faction to which they will devote the rest of their lives. For Beatrice, the decision is between staying with her family and being who she really is–she can’t have both. So she makes a choice that surprises everyone, including herself. Insurgent – The thrillingly dark sequel to New York Times bestseller, DIVERGENT – a major motion picture in 2014. One choice can transform you – or it can destroy you. Tris Prior’s initiation day should have been marked by victorious celebrations with her chosen faction; instead it ended with unspeakable horrors. Now unrest surges in the factions around her as conflict between their ideologies grows. War seems inevitable; and in times of war sides must be chosen, secrets will emerge and choices will become ever more irrevocable. Tris has already paid a terrible price for survival and is wracked by haunting grief and guilt. But radical new discoveries and shifting relationships mean that she must fully embrace her Divergence – even though she cannot know what might be lost in doing so. New York Times bestselling author Veronica Roth’s much-anticipated second book of the dystopian Divergent trilogy is another intoxicating thrill-ride, rich with hallmark twists, heartbreak, romance and powerful insights about human nature. Allegiant – The faction-based society that Tris Prior once believed in is shattered—fractured by violence and power struggles and scarred by loss and betrayal. So when offered a chance to explore the world past the limits she’s known, Tris is ready. Perhaps beyond the fence, she and Tobias will find a simple new life together, free from complicated lies, tangled loyalties, and painful memories. So, I decided to review the ‘Divergent’ trilogy all in one go, because really I need to review the overall impression of the series as a whole. Also partly because I read them so quickly I didn’t have time to review the first one before I was moving onto the next and so on. I’m going to review each book individually and then do a bit about the series. I’m going to start off by saying I absolutely loved this book and gave it 5/5 stars. It just kept me hooked. I literally couldn’t put it down. I never knew what was going to happen next and there was no points where I was bored or where I thought it was too slow. I like how real the characters are – they have realistic thoughts and feelings and they have flaws. Now, they don’t just have flaws for the sake of flaws like I see in some books because authors put them in to make their characters real. In Divergent the characters’ flaws make sense and fit with their individual personalities and environment. I also like Tris as a character and thought she had a good narrative voice. Four is also a good character. He seems raw and has a really individual character. He’s not like a typical bad boy and is actually quite nice and considerate but he has an interesting edge to him which makes him different, intriguing and stands out (in a good way). Also, the romance was realistic and it didn’t feel forced (and no silly love triangles! Yes!). The plot was really interesting and I felt that Roth did a good job at the world-building. It was well thought out and I got a real sense of the place without there being tonnes of info dumping or over the top descriptions. So overall I absolutely loved this book and I would really recommend it. It’s one of the best YA Dystopia novels I’ve read (though maybe not as good as The Hunger Games). I was so excited for this sequel and it did not disappoint me. Yes, I gave it 4 stars rather than the 5 I gave Divergent as it didn’t quite have that 5 star feel for me but it was still an amazing and exciting read. However, once you started reading the series you can’t really stop and that brings me to the final book in the series. This book was a massive disappointment and I only gave it 3 stars. Gradually, each book in the series lost another star point. While Insurgent was a slight step down but still great, Allegiant was like falling into oblivion. I found a lot of the novel quite boring and it didn’t catch my attention and keep it held the same way the first two books did. An important thing to tell you is that the book is told from the alternating first person perspectives of Tris and Four (whereas the first two were just Tris’ point of view). I wouldn’t have minded, but Roth’s characterisation ability went out of the window in this book. I found myself having trouble telling the difference between the two characters’ voices. The characterisation was very poor in this book, made even more noticeable by the contrast with the amazing characterisation in the first two books. Without spoiling the book all I can say is the way the plot turned in this one seemed unrealistic and fell flat of my expectations built up from the first two. The ending is very controversial and, although I acknowledge Roth’s guts in writing the ending she wanted, it seemed like a pointless, purposeless ending that didn’t really have to happen and the rest was very drawn out. I would very much recommend the first book, and probably the second to. But, if you start reading the series you end up needing to finish it and be aware that the final book is disappointing, anti-climatic, poorly written, poorly constructed, and unexciting.